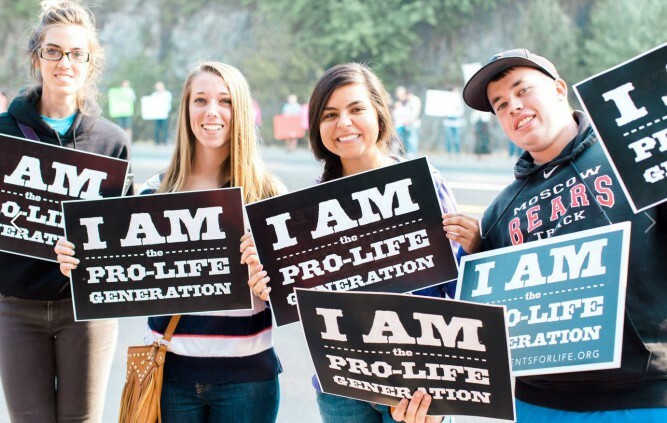 What a time it is for the pro-life movement! Between the Planned Parenthood undercover footage and mounting legislation against PMCs, there are a lot of great opportunities and dangerous pitfalls for our clinics at this time. Especially given the number of (truly wonderful and effective!) rallies the past few weeks across the country, I thought that this would be a good time to reflect on one of the first key lessons I learned from Beth Chase: Justice vs. Mercy. The pro-life movement is comprised of two complementary sides- the Justice side is where the truth of abortion (euthanasia, fetal stem cell research, etc.) is exposed and shared. The Mercy side is where we as Christians care and serve our fellow men and women who are facing these issues. Knowing the difference between the two and where you and your organization fit in the movement is important in determining how to respond and participate in these current events. I come straight out of the justice side of the movement. When I was in college, my group of student activists rocked our liberal campus, and helped to expand the movement in our city. After that I got to travel the region starting pro-life activist groups and organizing events on other campuses with the Leadership Institute. It has been an adjustment for me as I have moved into full time work with the mercy side, and I have had to step back significantly from my activism activities. Here are some of the possible scenarios where understanding the Justice vs. Mercy issue may apply to you and your PMC organization. Staff, volunteer and board member activism. These PP videos have rightly angered and motivated all of us involved in the movement. The rallies and protests launched in response are a great opportunity to tell the community about the atrocities being committed, and it is tempting for those in the PMCs to become involved. However, it is important to remember that many of those who witness the protests are either current or future patients and they may recognize clinic workers as protestors. This is particularly true of staff and volunteers that work directly with patients, such as receptionists, patient advocates and nurses. I am not saying that those in the clinics should never be involved- but I am strongly urging caution. For those that do choose to participate, I recommend attending only peaceful protests, not engaging in angry discussions with counter protestors, and not wearing or carrying anything that may identify you as involved with the PMC. Your board may want to have a discussion or even adopt a policy addressing this issue. Sidewalk counselors handing out your materials. I am sure many of you have encountered this situation before- a group of sweet, well-meaning sidewalk counselors are handing out your brochures or giving your name as an alternative in front of the local abortion clinic. Depending on the group and your community, this could be perfectly fine! But before you hand over a stack of brochures to any inquiring party, I recommend doing a little research into their approach and having a discussion with your board. It may be prudent to adopt a policy on who you will give materials to (even if the decision is to give them to no one) and to consult with a trusted activist who can give details about your local pro-life groups. Unfortunately, there are many groups out there who claim to be sidewalk counseling and instead show up with huge posters of graphic images. I have personally met a number of groups that will yell horrible things to women entering the abortion clinic. These are not the people you want carrying your materials or representing your brand. Allowing protestors in or around your clinic. An Executive Director I know had a clinic right next to their local Planned Parenthood- the best possible location, except for the protestors. Though those protesting or praying in front of PP were wonderful people, and certainly contributing to our same goals, this ED had to politely decline their requests to use the clinic’s designated parking or bathroom facilities. It took a little bit of convincing, but eventually the group understood that to have protestors and prayer warriors entering and exiting the PMC would not help women considering abortion to feel welcome. If you find yourself in this conversation, I hope that a simple conversation will help to address the issue. Again, a board-adopted policy is always best. Donor material about Planned Parenthood. Pro-life donors are just as riled up with the PP videos as the rest of us, and genuinely want to give to PMCs in response. There is nothing wrong with addressing PP or any other abortion clinic in donor communications (if the information is true), just so long as you remember that anything said to donors could make its way to potential patients. This is always true, and as a result all donor materials should also be read through the lens of a potential patient before final approval. The Justice and Mercy sides of the pro-life movement are equally necessary, and even complementary if boundaries between the two are respected. Perhaps including a discussion of Justice vs Mercy would be a beneficial addition to onboarding and training staff, volunteers and board members. A final word of caution: There are a few anti-abortion factions that are spreading rapidly across the country that you should avoid at all costs. These groups carry large graphic signs, routinely tell women they will be damned if they choose abortion, and enjoy causing violent arguments over abortion or theological issues, even with the most ardent pro-lifers. You will know if you encounter these groups because there will be absolutely no reasoning with them as you establish boundaries for your clinic. If this is the case, I recommend dropping the conversation and avoiding them in the future, as they tend to latch on and harass other pro-lifers if they are seen as disagreeing with the group’s methods.